Commander mode (also called EDH) in Magic has long delighted fans as it diversifies matches with its format; each non-basic land in the 100 card deck must be unique, and players may only include colors matching those of their commander, a creature available throughout the match. With the predictability of your commander balancing the individuality of all cards, you're bound to see something new every game while retaining control over the theme of your deck. White's trademarks include assembling vast armies of creatures, regenerating life, and utilizing powerful Angels. Today we'll countdown ten impressive mono-white cards for any Plains-user! In standard Magic formats, players begin with 20 life, but in commander, that value is upped to 40. This allows for longer games, but also exploits cards like Serra's Ascendant, which grows in power when life is above 30. For a single mana pop, Serra transforms from a weak 1/1 (one power and one toughness) to a fierce 6/6 with both flying and lifelink whenever your life is at least 30. Considering you start with 40, I'm amazed that this card (as of this writing) is perfectly legal in commander. Few foes can recover when you start swinging with a flying, health-recovering 6/6 early on. 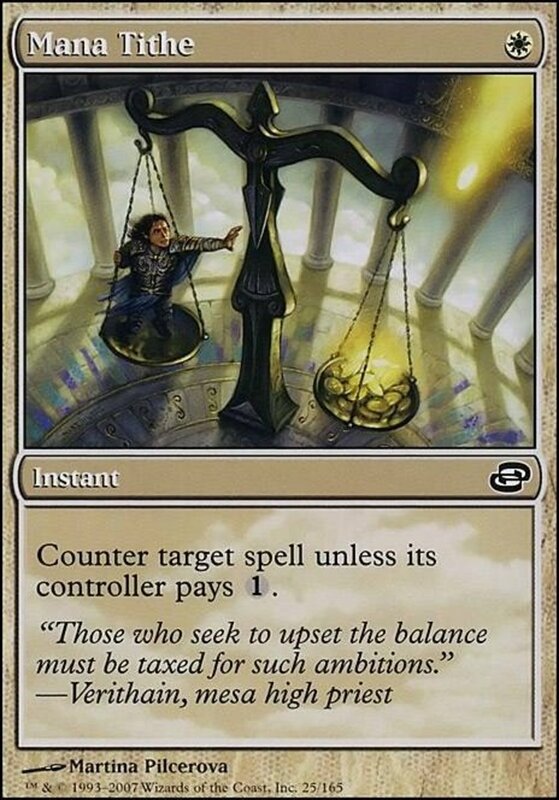 Another card that probably ought to be banned in EDH, Land Tax also only costs one mana. 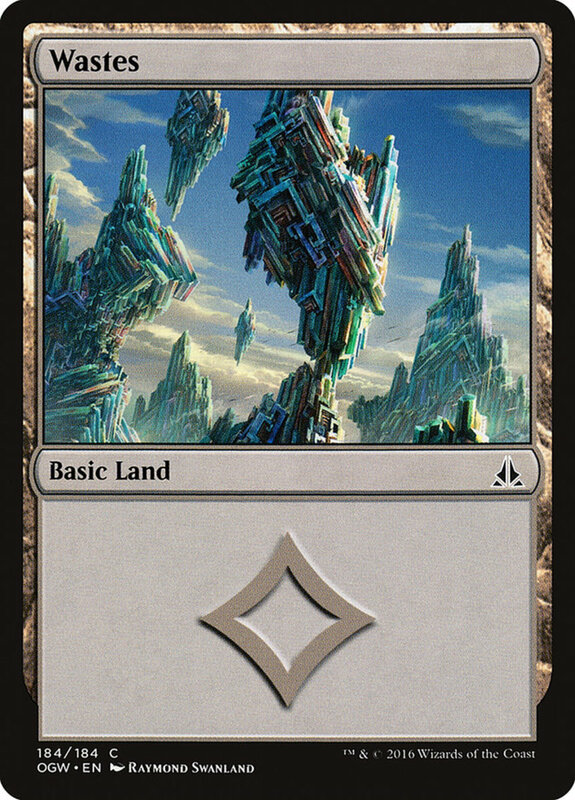 It lets you search for three basic lands at the upkeep (start of your turn) where an opponent controls more land than you. 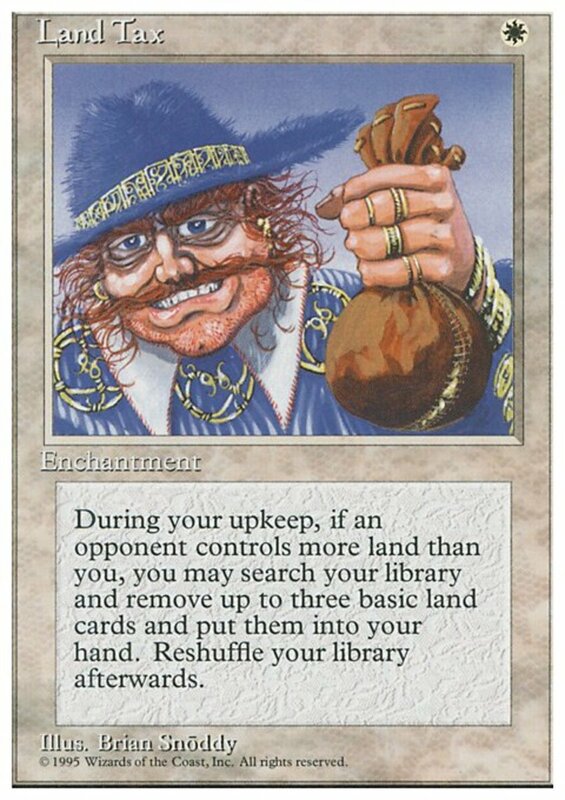 In other words, as long as you aren't the first player, you'll almost immediately be able to add three land to your hand. Even nastier, Land Tax isn't sacrificed upon use, remaining active and triggering its effect for as long as it's out. Now that we have the "cheap" cards out of the way, let's tackle the main courses. Mana Tithe also costs a single mana, and its instant status lets you play it at any phase on any turn. It'll counter an opposing spell unless your opponent can pay an additional mana. Simply wait for your opponent to spend all their mana on a game-changer, then cast this to negate their efforts. Since white has very few counters (that's blue's forte), you can easily catch unsuspecting opponents off guard with this trick. 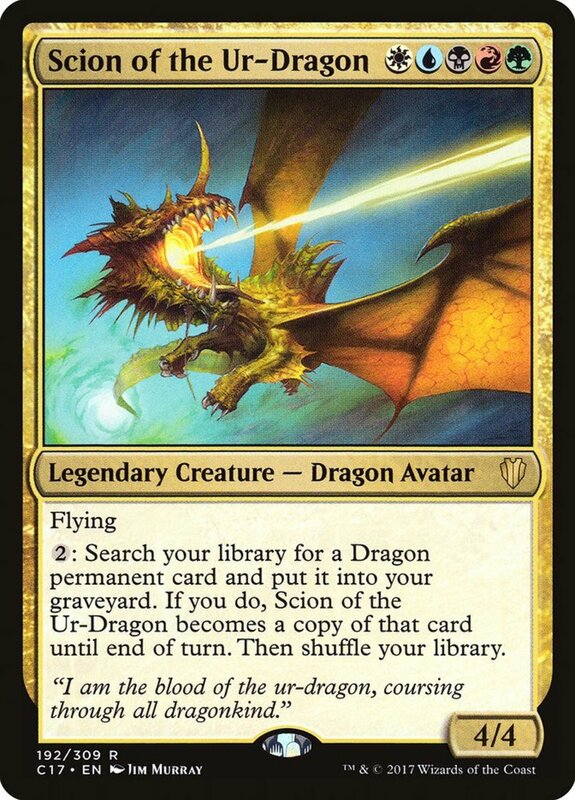 This card starts as Legion's Landing, an enchantment that, for only one mana, creates a 1/1 white vampire creature with lifelink. 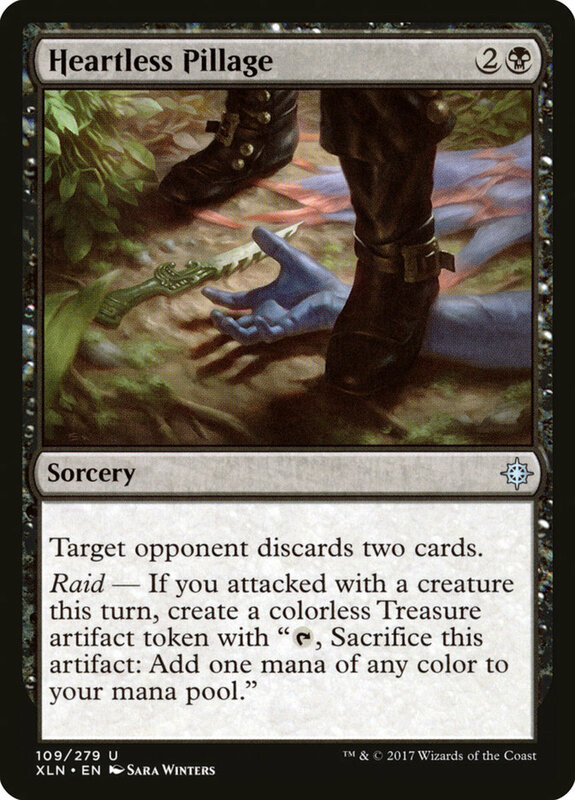 A fair trade for a single resource, but Landing also remains out until it transforms, triggered when you attack with three or more creatures at once. 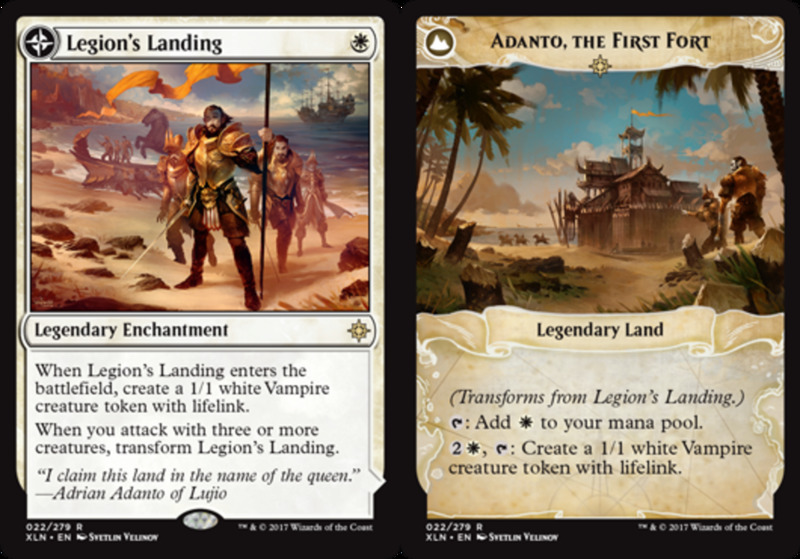 When this occurs, Landing will morph into Adanto, a land that can tap for mana or spend three to create further vampire bats. This transformation bolsters one of white's lacking areas—mana ramp—since it doesn't count as your land play for the turn! In short, employ Legion's for a cheap creature plus future mana. 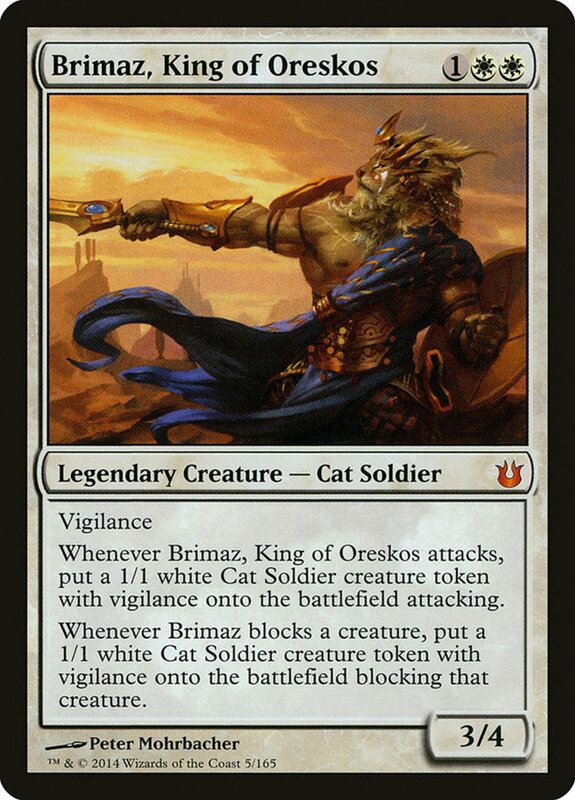 Brimaz's legendary status means he can serve as your commander, but even when supporting other generals, you'll likely want him in your library. Costing only three mana, he arrives as a fierce 3/4 with vigilance, meaning he doesn't tap when attacking. Additionally, he creates a 1/1 white cat token whenever he attacks or blocks, automatically adding it to the attack or block. What else can I say? 3/4, vigilance, and easy token production for only three mana is a great bargain, and his cat type synchronizes perfectly with any feline warriors in your build. 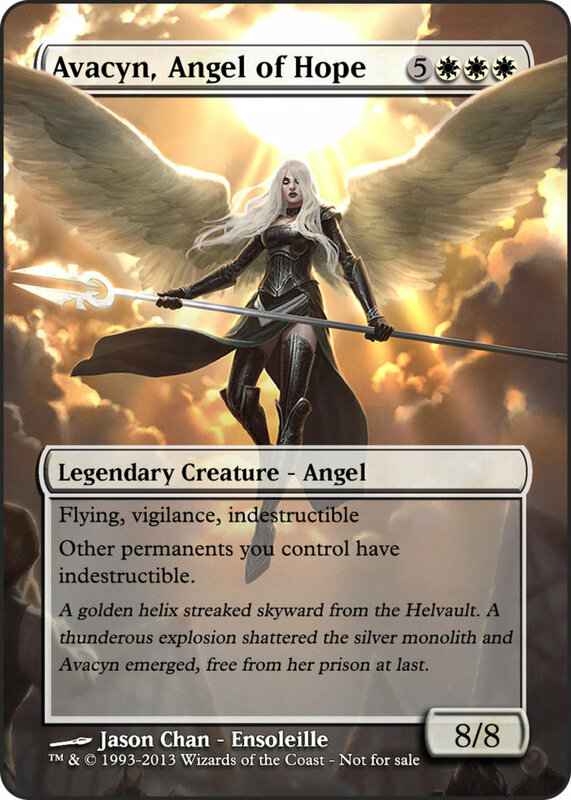 On the other end of the mana spectrum, Avacyn offers terrific power when you can afford her eight mana price (or use gimmicks to play her early). She brandishes 8/8, vigilance, flying, and a monstrous effect that makes all your permanents (including herself) indestructible. This guards creatures, artifacts, enchantments, planeswalkers, lands, basically anything you use that stays on the field. 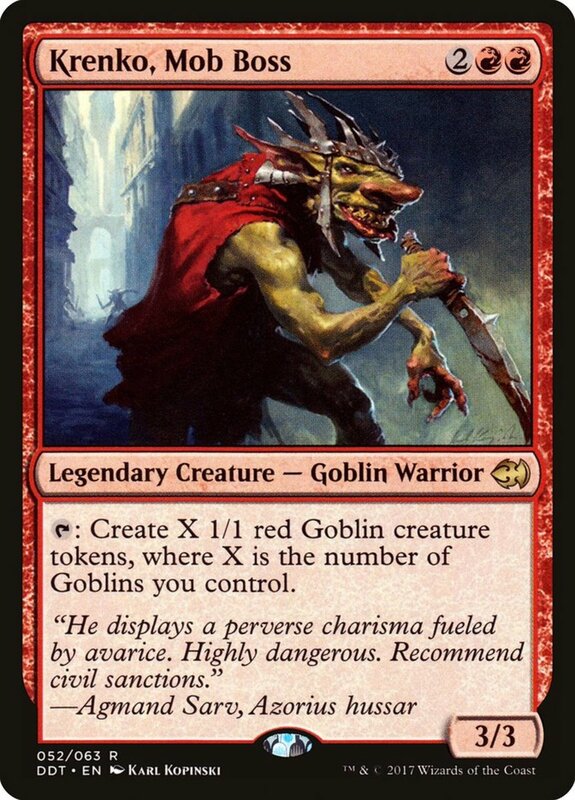 The only way your opponent will be able to remove your monsters is with rare banishing effects, forced sacrifices, -1/-1 counters, or hand-returns, and while they struggle to survive against your invincible team, you'll be assaulting them (without fear of destruction) for the win. Another instant, Swords demands only one mana and can be played at any time. It removes a targeted creature from the game (circumventing even indestructible cards), an exceptional removal for its low price. 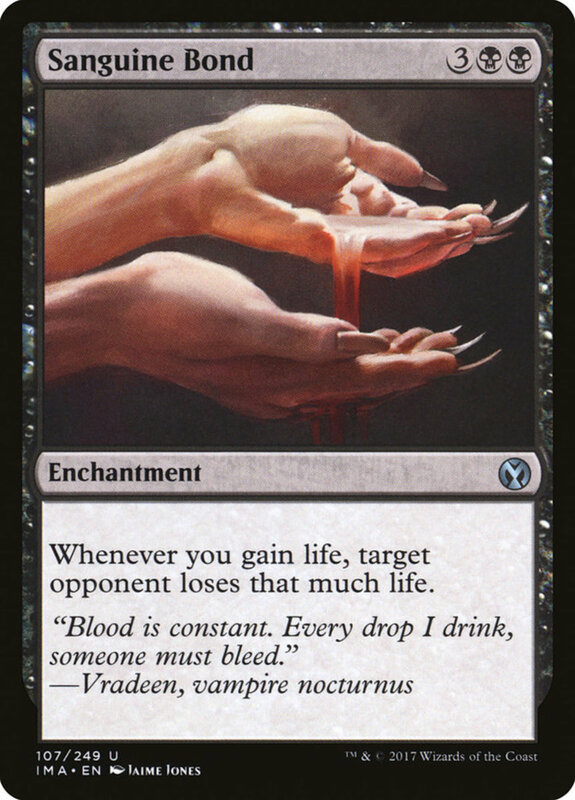 The downside is that your opponent gains life equal to the creature's power, but in commander games where life is already bountiful, adding a few more scraps to their reservoir shouldn't hurt much—especially when playing for a commander damage victory; you win when your commander inflicts a total of 21 or more combat damage, regardless of an opponent's remaining life. 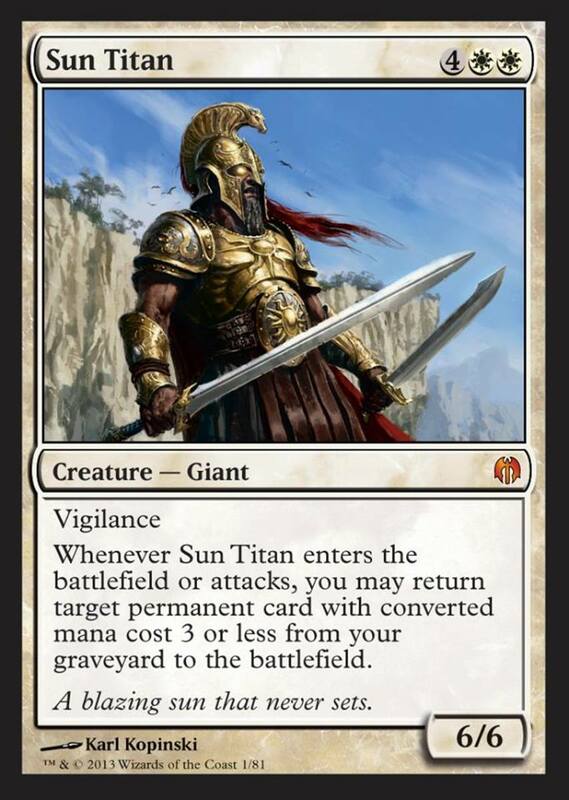 While not quite as expensive as spells like Avacyn, Sun Titan needs six mana to play, but arrives with an imposing 6/6 and vigilance. Even better, whenever it enters the field and attacks, you can return a permanent costing three or less mana from your graveyard to the field! This lets you recycle permanents of any category as long as they're under four mana, bringing back vanquished monsters and forcing your adversary to deal with them once more. 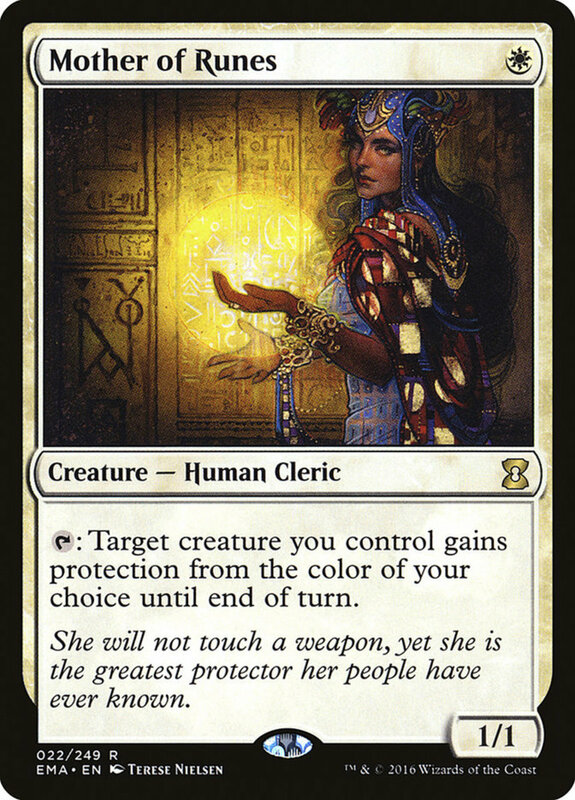 White excels at guarding, and Mother of Runes offers one of the most inexpensive yet effective defenses. 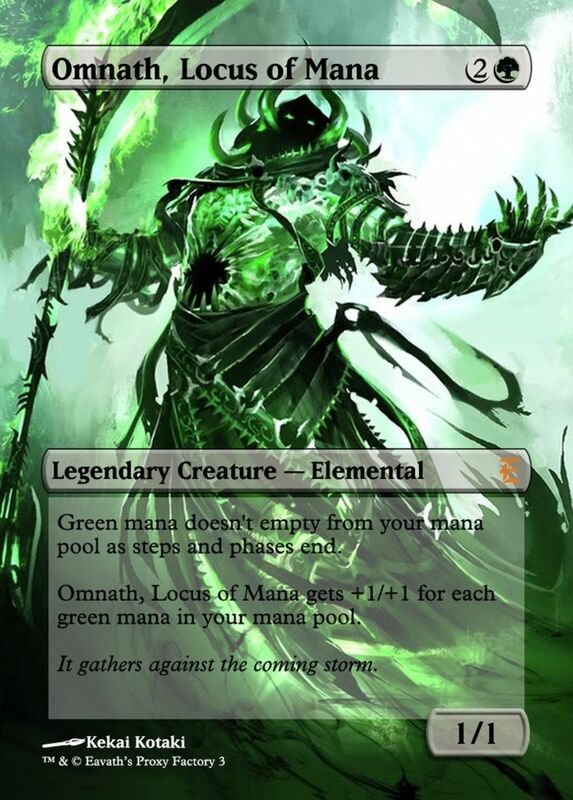 Although she herself possesses only 1/1, she costs just a single mana and can tap to grant any creature (including herself) protection from a color of your choice for the turn. This lets her repeatedly save monsters that would otherwise die and lets you block your opponent's strongest attackers without fear of losing your defender. For her instant-speed sheltering ability, Mother of Runes synchronizes with any white assortment. One of commander's most cruel (and effective) strategies in 1v1 is playing a blue-counter deck. These wield mana counters to anything you throw out, often with added bonuses like additional draws or hand returns, making them quite the obstacle to surmount. Enter Grand Abolisher, whose effects prevent opponents from casting spells and activating abilities during your turn. This gives them diddly squat to do when you play your cards, saving you from any nasty surprises. Use Sun Titan or other revivals to resurrect Abolisher if it falls to counter any, well, counters. 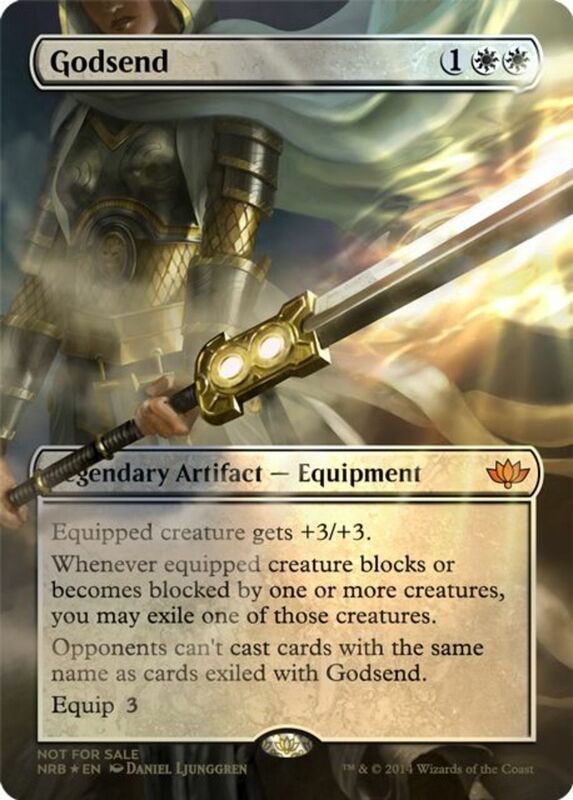 White makes great use of equipment artifacts to boost its creatures as well as healers to keeps your life full. 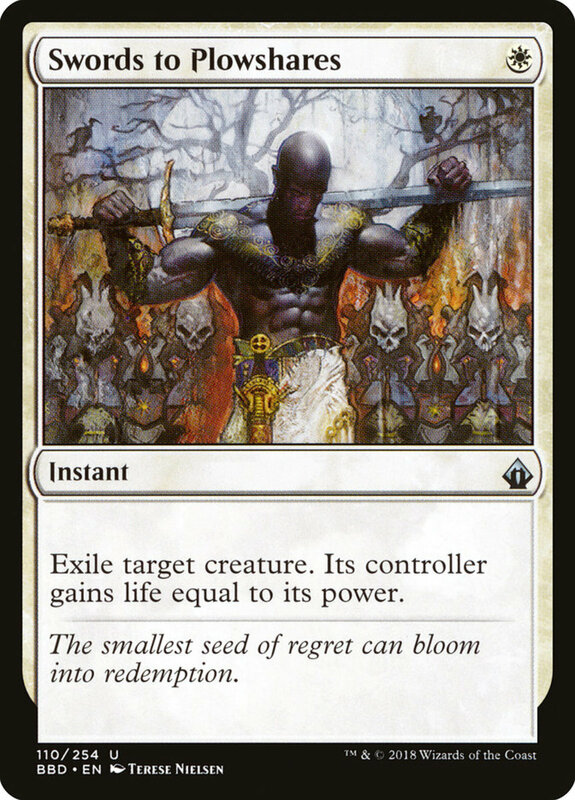 However, keep in mind the potential for an opposing commander damage-win when playing life gain, and consider combining white with other colors to blend its defensive capabilities with the strengths of other hues. With millions of decks to construct, experiment and see which builds work for you! 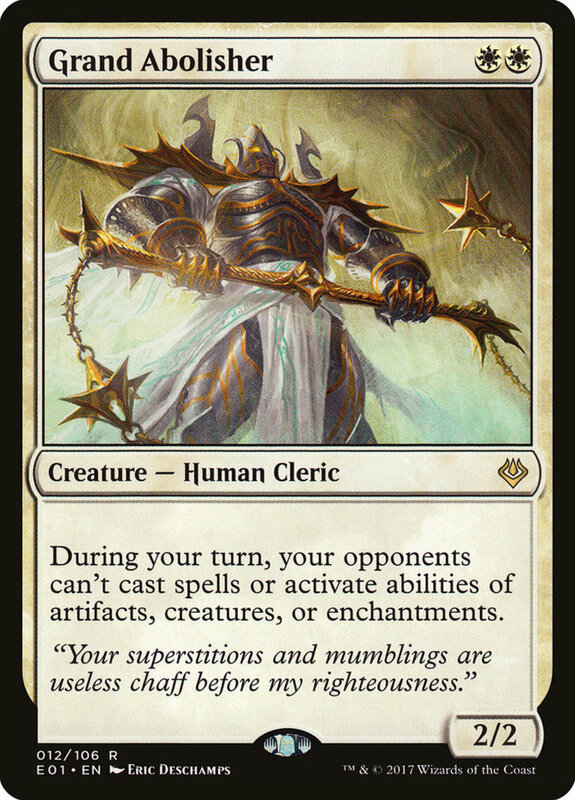 White is an often-underestimated color in commander that nonetheless offers several boons, especially when exploiting its cheap life-hack cards. As you debate whether to make your game buddies eternally despise you with such tactics, vote for your favorite of today's entries, and I'll see you at our next Magic countdown! I agree with your list here except Mana tithe. That card is garbage. You have many other replacements available. 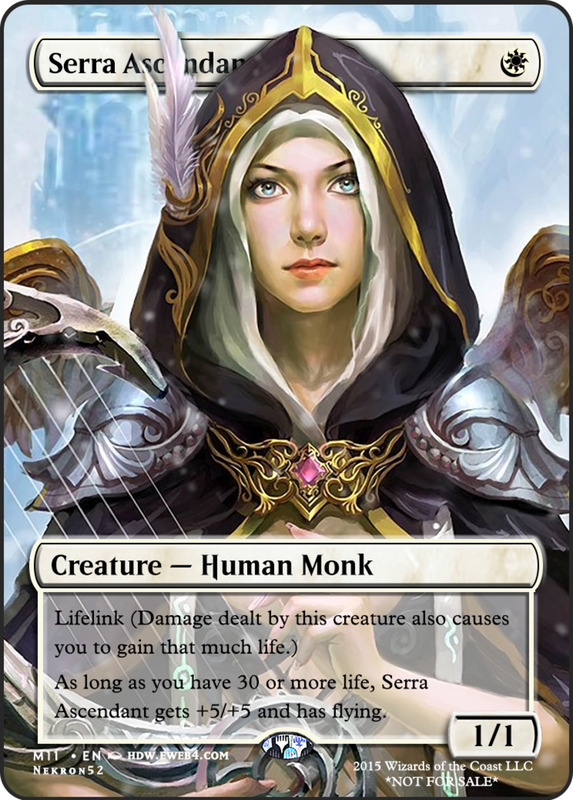 Things to look at would be, soltari visionary, archangel of thune, elspeth suns champion over brimaz, and academy rector.